Dig a hole where you want your new plant to be. Consider the plant’s light and soil requirements and, if needed, take the time to amend your planting area with quality compost. Ensure that the depth of the hole is sufficient. Gently remove the plant from the pot it was purchased in. 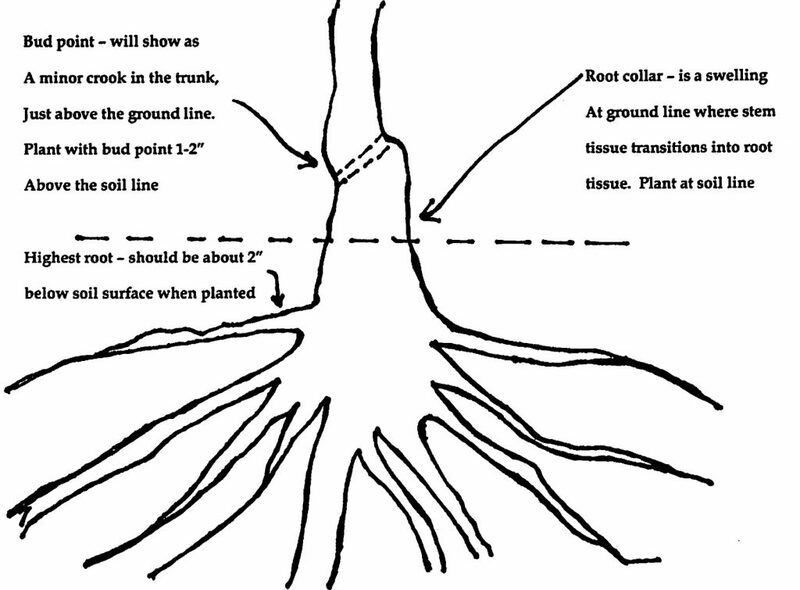 Don’t worry if the soil around the roots simply falls away. Place the plant in the hole and double check the diagram below to ensure it is in the optimal position. Back fill the soil around and on top of the roots. If necessary, stabilize the plant with a stake. Water the plant thoroughly and continue to monitor the plant’s watering needs closely.